After stunning Venice and Telluride, Bradley Cooper has brought the highly-anticipated A Star is Born to TIFF. Jackson Maine (Cooper) is a Country Singer whose best years are behind him. He’s become an alcoholic and drug addict. Ally (Lady Gaga) is an incredible singer at a drag club. The two meet by chance, become lovers and start writing music together. But the pressures of the tour and the rising tide for Ally may signal some big changes for in the future. In a word, A Star is Born is spectacular. Cooper (who acts as Producer, Co-Writer, Director and Star of the Film) has created a spectacle of beauty and sure-fire Oscar-nominee. He relies too often on slow-motion and overuses all manner of close-up, but his directorial debut is solid and assured. His acting is just as great (channeling his inner Sam Elliot), and is only topped by Gaga. She dives deep into what truly makes Ally tick, leaving her on-stage persona at the door, delivering a strong, resilient woman that is unmatched by so many. Elliot is pretty great as well and Dave Chappelle shows-up for a particularly memorable arch in the second act. But the Music is what really kicks every scene up a notch. It is composed and sung magnificently. While they both get plenty of time and songs to shine, the showstopping Finale from Gaga is the Film’s clear standout. They even cue in when it’s appropriate to clap. 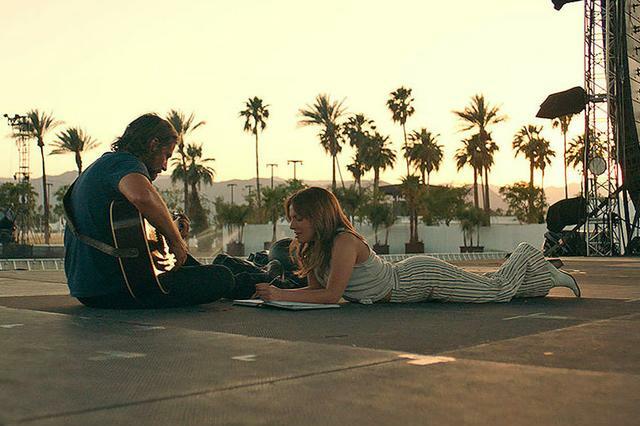 A Star is Born screens on Sunday, September 9 at 6 PM, Roy Thomson Hall and 7:30 PM at Elgin Theatre. Monday, September 10 at 9:15 AM at TIFF Bell Lightbox and Friday, September 14 at 6:45 PM at TIFF Bell Lightbox.